As a lawyer, there are few things that upset me more than when the government botches an investigation and injures a person’s reputation. It angers me even more when I see the media get involved and use misleading headlines based on the same botched investigation solely to gain “clicks,” which further injures that person’s reputation. 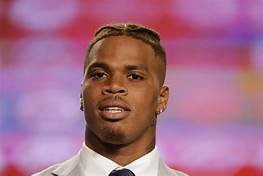 That is why I felt it was important to explain in detail the weird and wild criminal case involving Florida State University’s star quarterback, Deondre Francois from the perspective of a Criminal Defense Attorney who handles Drug Related Defenses. Earlier this week, it was reported by multiple news outlets that Francois entered the Pre-Trial Diversion program for misdemeanor possession of marijuana. Pre-Trial Diversion is a fancy way of saying you are entitled to a “get out of jail free” card if you pay a fine, don’t get arrested for a certain amount of time, and complete some form of class and/or community service. If you satisfy the above requirements, the government drops the case against you as if it never happened. This program is often available for small petty crimes and first-time offenders. Usually, no one will ever know that someone was in trouble unless the case happens to get covered by the media. It is also worth noting that entering the Pre-Trial Diversion program does not mean one is guilty. It often means you do not want to take the risk of fighting the case and you would rather just take the “get out of jail free” card. It is not out of the ordinary for a Criminal Defense Lawyer to advise his or her client to avoid the risk and just enter the program. Back to Francois. This case bothered me for many reasons. The investigation itself was disturbing. Even more disturbing were some of the headlines I read regarding the situation. I think to understand why the headlines are so wrong and egregious, one must first understand what took place in regard to the investigation, the evidence, and the actions taken by government. In this Criminal Defense Lawyer’s eyes, the investigation starts and should have ended with the actual search warrant. The portion of the search warrant that matters most is the “Probable Cause” section. The Probable Cause section details the illegal activity known to the government which serves as the reasoning as to why the government believes a Judge should sign the warrant allowing them to invade one’s home and personal property. It is illegal for the government to do so without a warrant, and our great Constitution lays out the importance of our personal privacy. Basically, our founding fathers wanted to make sure the government had a damn good reason to enter your house or property. That simply was not the case in regard to Francois. Before we go further, we must discuss an anonymous tip. Anonymous tips are just as they suggest. They are tips made by unknown people and therefore not necessarily reliable. Therefore, in order to make the tip reliable, the government must show that they themselves have witnessed actual facts that confirm the tip. This must be done in order to conclude that the tip is reliable. The tip that the police received stated that there was a very large quantity of marijuana in Francois’s home and that it was being sold. At this point, it is up to the government to show facts that would lead to this tip’s reliability. What is troubling is the facts stated within the warrant that police use to show that actual drug dealing was taking place. After receiving this anonymous tip, the government “initiated an investigation” and “conducted surveillance on multiple occasions.” The first thing the government points to as “potential criminal activity” is that Francois is “seen coming and going to and from the house, at will, on multiple days and varying times of day and/or night.” THAT IS IT. They do not mention that he is meeting with people for a few seconds at a time. They do not mention that he is seen handing items to individuals. They do not mention that a lot of people are coming to and from the house at all times of the day and night. Nothing. They state that he leaves his house whenever he wants and sometimes it’s at night. The fact that this is suggested as the actions of criminal activity is at the very least, a reach. In fact, on it’s face, there is nothing illegal about leaving your house when you want and suggesting otherwise is misleading. Everything the officer relies on to corroborate the anonymous tip, which is necessary to verify its contents, falls squarely in the realm of personal use and possession. The actual physical evidence when added to the fact that there is no evidence of people coming and going other than the residents should have either lead to further investigation or abandoning their pursuit of a search warrant. Even based on this limited evidence, a warrant was still signed by a Leon County judge. Upon obtaining the warrant, the government raided Francois’s home in search of two (2) pounds. Two pounds of marijuana equals 896 grams of marijuana. When police raided the home, they found 17 grams of marijuana. 17 grams of marijuana has a street value of anywhere from $175.00 to $25.00 depending on the quality. Certainly 896 grams as opposed to 17 grams is quiet the difference. It is clear solely based on the evidence within the search warrant, that other than the anonymous tip, there was absolutely no evidence of drug dealing. Therefore, the State of Florida determined that Francois was rightfully eligible for the Pre-Trial Diversion program which was immediately offered. Based on the actual evidence, the State of Florida, and its Prosecutors determined that Francois was only potentially guilty of marijuana possession for personal use and offered a plea deal to reflect such. They did not believe the police’s investigation showed what the police had hoped their investigation would show. Their investigation was a failed one. However, this invasion of privacy when the government raided Francois’s house for “selling drugs” coupled with his fame as Florida State University’s quarterback lead the media to jump all over this story. Although, none of these headlines are factually false, they all seemed to indicate that he was in fact selling drugs. None of these headlines make any mention as to the fact that the government really did not find evidence of actual drug dealing or that they may have gotten this one wrong, which is the real story. They used these headlines as click-bait because they wanted people to read their articles and they knew that suggesting a star quarterback selling pot would lead people to read their article and visit their site. I understand that, but by doing so, a young man now has his name dragged through the mud for something it appears he was not doing (at least that’s what the ACTUAL evidence suggests. Furthermore, possession of marijuana is still illegal. I do not want to come across as though there was no potential wrong doing here). The point of this article was not to make light of the fact that Francois only had a small amount of marijuana. It is not to say who cares about smoking marijuana. It is to show how easy it is for the government to invade one’s personal privacy even when there isn’t actual evidence to do so and how it can lead to smearing one’s name and wrongfully attacking their character, especially when they are a public figure. College kids are just that; kids. It’s not their fault we have an obsession over them and the game they play. It is also to show the importance of facts vs. opinion and that the media needs to take ownership over their inherent “power.” Facts matter more than clicks, especially when reputations and lives are at stake and more importantly, government intrusion of personal privacy, especially at one’s home, needs to be based on more than what was actually present in the Francois matter.